EKWB Blocks 2 360mm rads. Yep, I've already done that and at driver 417.22 I was able to up the power to 85% and not have issues. What I don't understand is how in 3d mark it doesn't crash regardless of voltages, power, core, or memory clock speeds. I know I'm not getting any thermal issues. I'v never seen the card go gover 59c even with it OC'd. I'm going to play around tonight with voltages and see if I can narrow down anything else. I hate to rma the card mainly because I'm lazy and I don't want to remove the blocks and install the stock cooler back on and be without a card BUT I also don't want a dud. yes and I have no idea why. It seems from the GPU-Z logs it happens if voltage goes over 1v. I can set voltage to cap out at .975mv and it's fine regardless of power. This only happens in games and any unigine . For some reason in 3dmark I haven't had one crash other then when I OC'd legitmately too much. I am using a pci riser cable. Thermaltakes 300mm. If I wasn't water cooled I would slap that card directly into the slot to see if that makes any difference and I suppose I should try that just to rule it out. I'm just wondering if I'm having legit power issues or the card is junk. Yep. I've tried just about everything including different cables. 1 vs 2, old drivers (which actually were more stable.) Only thing that seems to work is lowering the power limit. I'm going to set a voltage curve that maxes just under 1v to see what happens. I don't know if it's my PSU or card. I've used both. I prefer afterburner but ok. I have the power limited as you can see. That's probably why the card isn't boosting. If I go over 1 volt it bombs out. 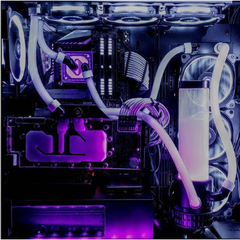 Full custom loop with 2 360rads. That's why the temp is low. Gigabyte z390 Master i9-9900k 2x16gb corsair 3200 ram EVGA 2080ti XC 2 970 evo 1tb NVME Cooler Master v1200 PSU. I have tried both. DX11 usually lasts 10 minutes longer in gameplay or benchmark before it craps out. Here's my setup Note that my issues occur with or without overclocking the GPU. Gigabyte Z390 Master i9-9900k 5.0ghz at 1.275 32GB Corsair 3200 ram EVGA 2080ti XC gaming 11gb Thermaltake PCI Riser cable to the x16 number 1 slot. 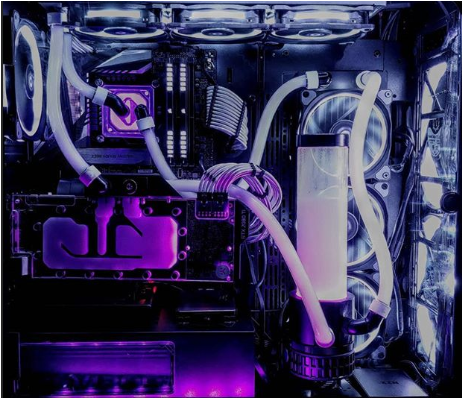 Cooler Master v1200 PSU Full custom loop system with EK errthang. 2 360mm rads. Prime 95 for 12 hours temps on CPU never reach above 60c I can't do GPU testing because of the crashes but running GPU-z I never see over 54c anytime at 100% usage. I haven't paid a lot of attention to the voltages yet. What's weird is that with no overclocking on I'm seeing 2000+ core clock speeds in GPU-z when my card has a base of 1650 and boost of 1850 or so. Playing any game (except Far Cry 5 for some reason) I get the dreaded "Display driver nvlddmkm stopped responding" 10-20 minutes in. Here's what I have tried. DDU to uninstall all drivers and installed anywhere from 399 - 417.22 drivers (most people say these are stable) Turned off all undeeded services such as RGB software, Samsung magician, etc. Underclocked the core and memeory clock on the GPU using MSI Afterburner 1 PCI power cable vs 2 from the PSU Moving to the X8 PCI slot. Reformatted the entire machine. Last night as a last ditch effort I underclocked core and memory clock to the max (~500mhz on each) and limited power to 80% and magically all things started working. Tonight I'm going to only limit the power and keep the core and memory clock at stock to see if that works. What are your thoughts? Software / firmware is screwy? PSU is dying? I'm just dumb? I'm glad it's working but I shouldn't have to underclock or underpower this card for it to work. I'm open to any suggestions.